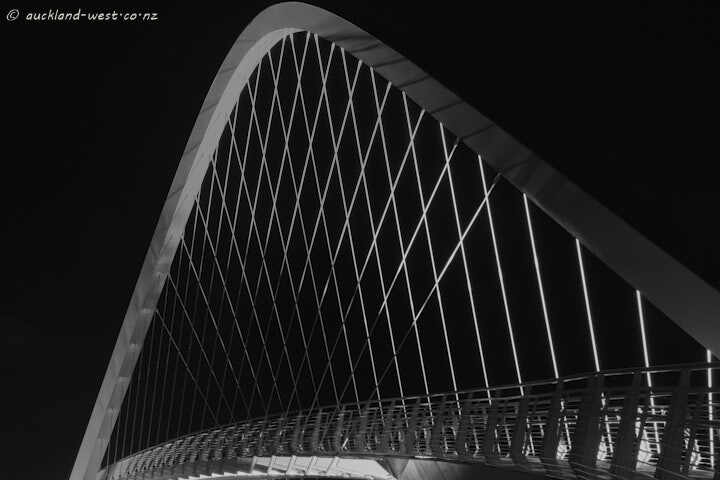 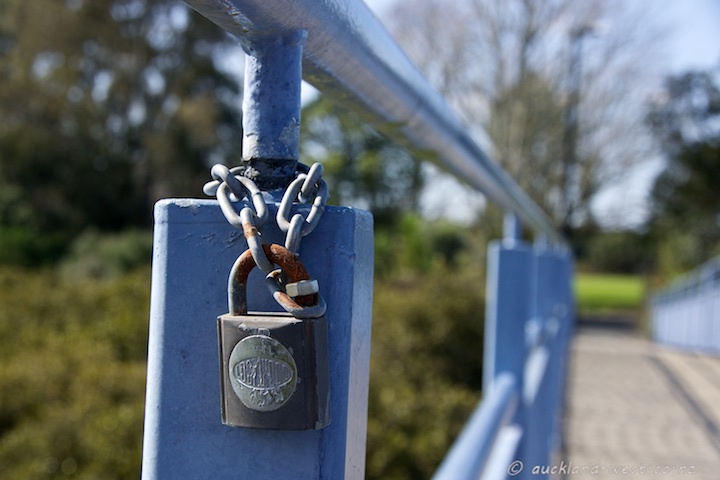 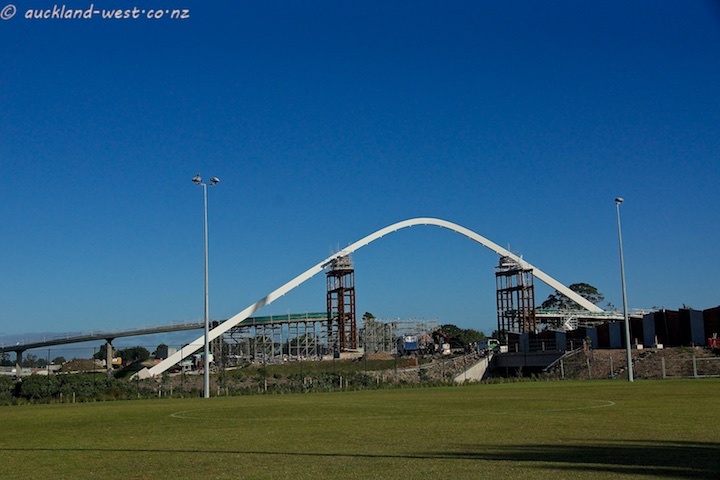 The elegant pedestrian/cyclist bridge, is named “Te Whitinga” (The Crossing). 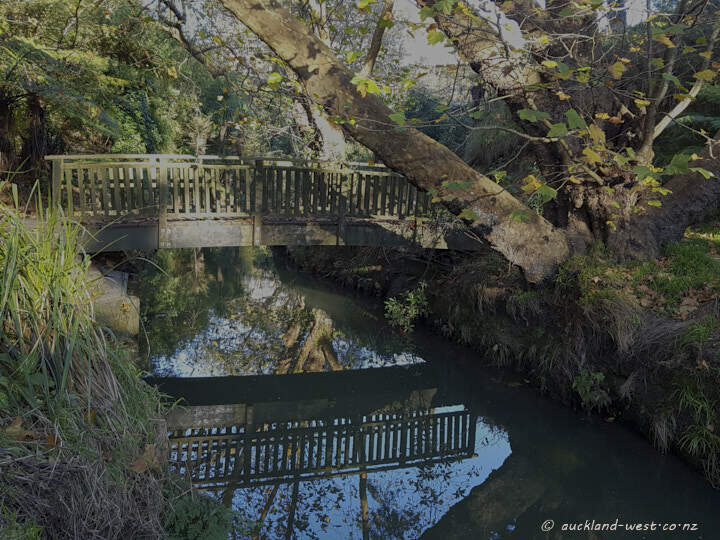 It spans State Highway 20 at the Alan Wood Reserve, Mount Albert, and is beautifully illuminated at night. 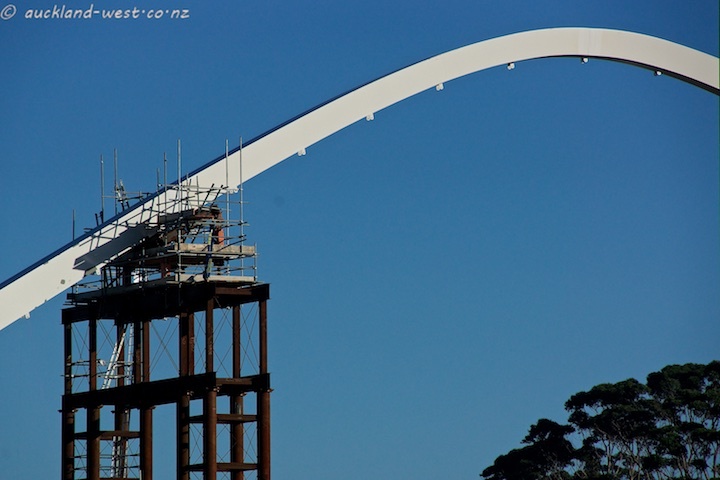 Construction of the Hendon Bridge (pedestrians/cyclists) across State Highway 20 near the southern entrance to the tunnel. 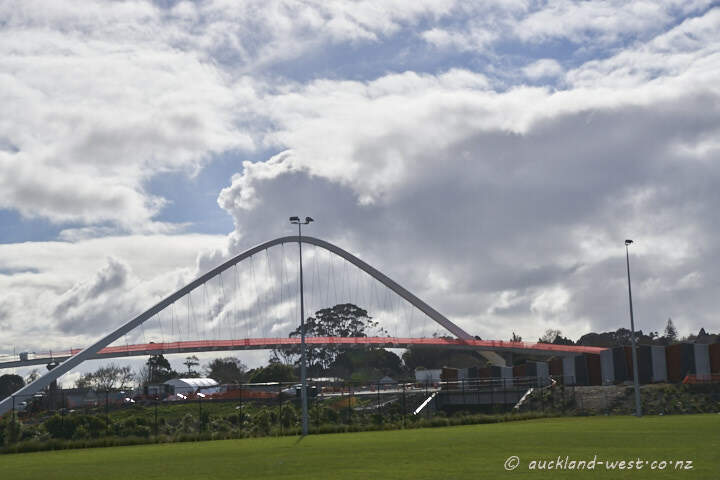 The bridges needed to connect State Highway 16 with the new State Highway 20 at Waterview are almost completed. 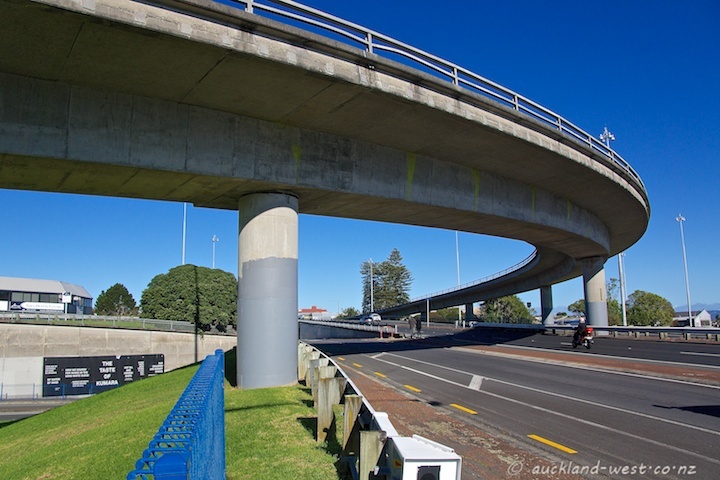 The yellow gantry (“Dennis”) will be up for sale – in case you are interested. 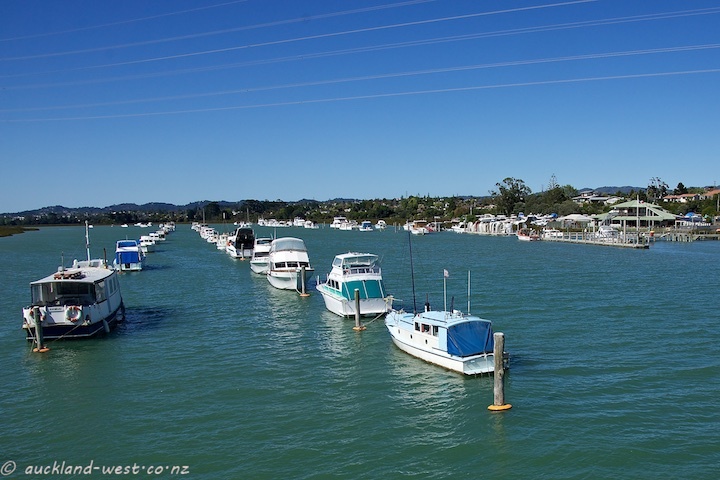 The Whau River Estuary is an arm of the Waitemata Harbour with the Rosebank peninsula on one side and Kelston-Glendene-Te Atatu on the other. 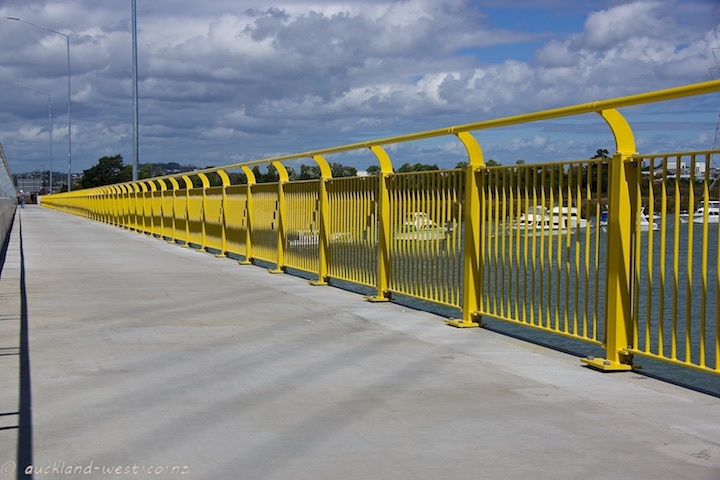 This view is from the new yellow pedestrian/cycle bridge, showing the lines of moored boats with the Te Atatu Boating Club on the right. 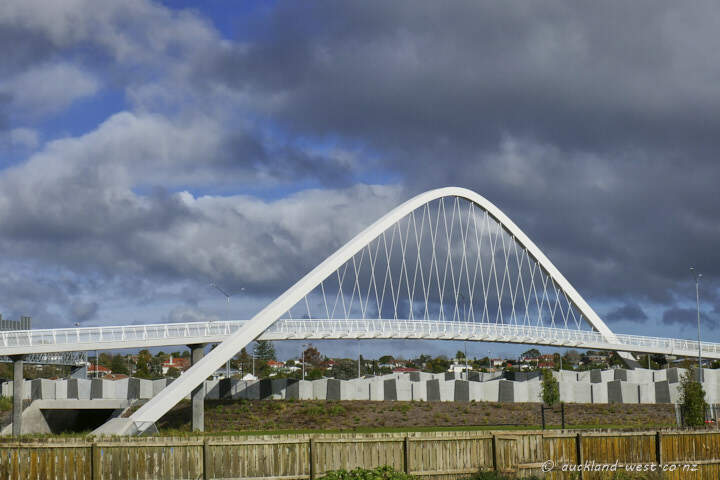 A pedestrian bridge crossing the Rewarewa Creek and connecting Caspian Close and Hugh Brown Drive. 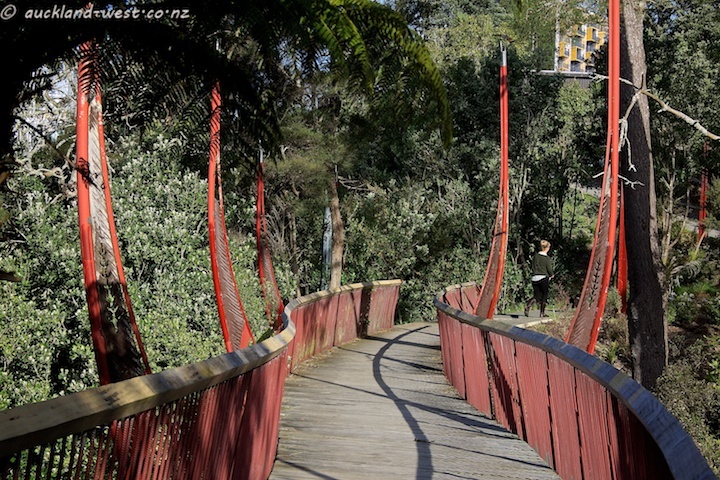 Design by renowned Auckland sculptor Virginia King, it is one of the former Waitakere City Council’s “Art Bridges”. 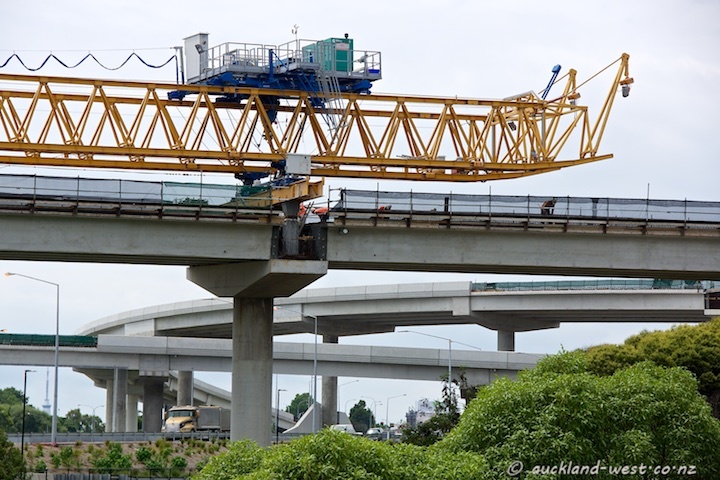 Some of Virginia Kings work appeared on this blog.